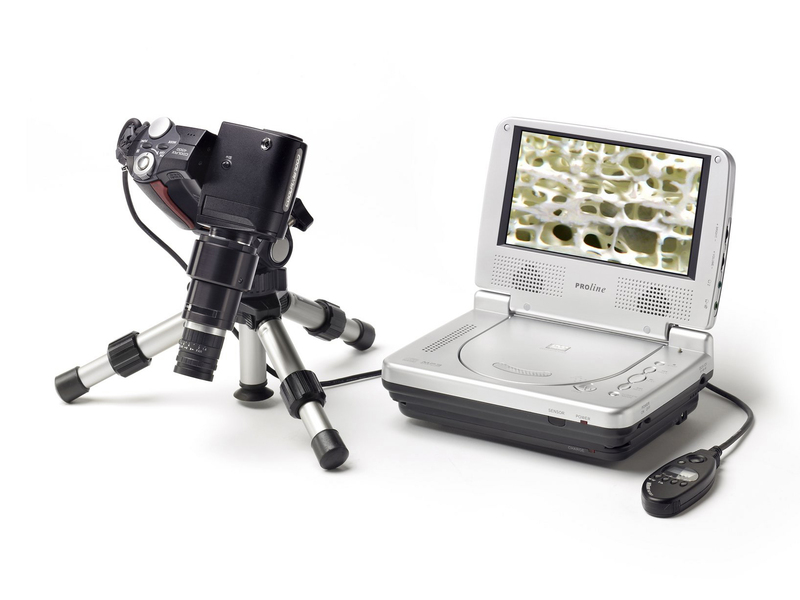 Mobile Digital Camera Microscopes are made possible by a special combination of professional quality lenses interfaced to a compatible high performance digital camera, for example, the well proven Nikon 4500, though later units may be used if they fulfil the technical performance criteria involved. The Varifocal objective lens provides to 40x magnification at 2cm working distance with an exceptional 1cm field depth making it ideal for a wide range of applications from entomology to forensic studies. 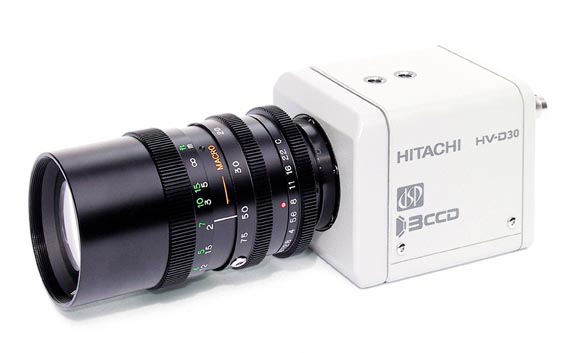 Further, the wide angle objective lens means that large surface areas can be viewed and recorded at much shorter ranges than can be found in conventional configurations, from 2cm to infinity. Various other advantages with this approach include, mains free operation, microscopic autofocus, excellent resolution of images recorded in digital form, video monitor output and a complete range of viewing angles using standard mini-tripods. With a modern WindowsPC able to archive 100,000 images before downloading to CD-R, it is not surprising that increasing use is being made of this facility. The technique also allows for it's use as a master reference archive relating to the outside world of real objects, for example, slides, photographs and large collections of any sort. 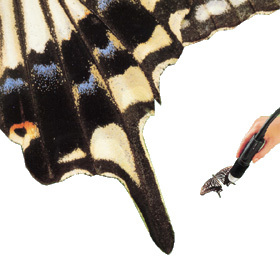 It is a simple matter to transfer images between locations by floppy disk, for example, into other reporting systems. Widefield Imaging is an example of our new technique of Mosaic Archiving and can be used to extend the performance of any camera or microscope. This approach overcomes the limitation of the field of view at higher magnifications and lower resolution within larger fields by producing seamless mosaics of images. This also effectively increases any camera/field pixel density at no additional cost. 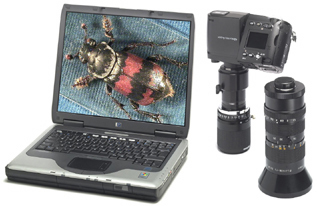 Any digital camera or camcorder can be interfaced to any C-mount or SLR lens, or microscope, by using our Z70 coupling lens assembly, permitting low cost digital recording by these optical devices and systems. 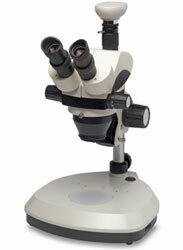 Microscope fitting is achieved by using an appropriate ring adaptor between the photo-tube and the Z70 interface lens. In the case of SLR lenses the appropriate C-mount adaptor will be needed which will be available from the SLR lens manufacturer at low cost. Free configuration advice is available on request by e-mail. 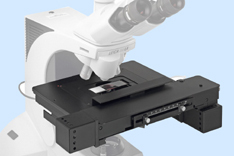 Our new Optical, Video and SEM sample handling stage enables users to readily visualise stereo-information by providing continuously variable tilt in any direction about a eucentric plane, rotational positioning and specimen accommodation up to 75mm in diameter StereoStage75 has a unique protected design and is directly compatible with StereoOptical and Video Microscopes. It can also accomodate SEM samples allowing for their examination during preparation. MicroArchiver is both portable and desk-top friendly and is extremely easy to use in any environment. 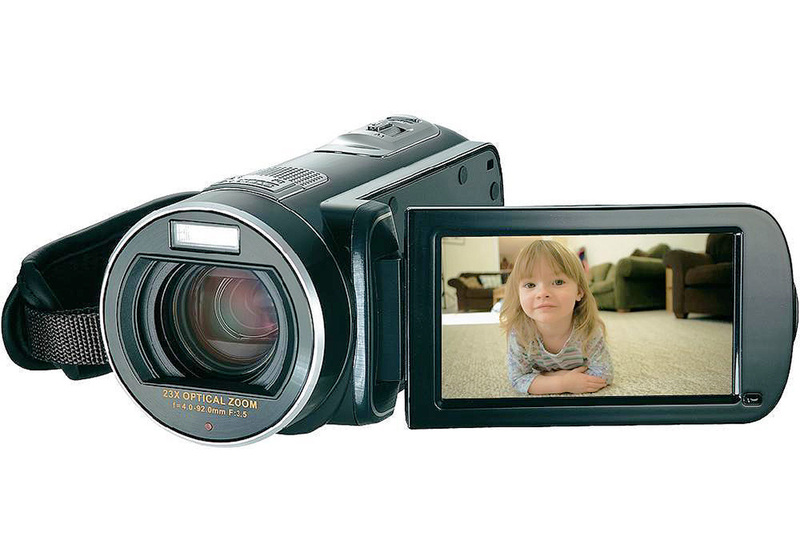 Combining a live image 6.4" LCD display with immediate image storage capability to selectable and removable flash-cards, it is the only device of its type currently available. While MicroArchiver's high quality image can be transferred to any modern PC it is anticipated that because many thousands may be collected on flash-cards that this unit will become the only requirement needed in many video and optical applications. 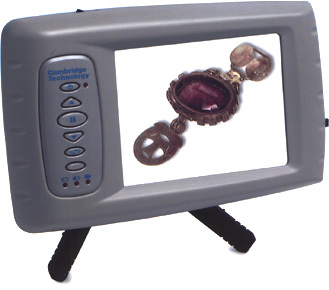 VideoCCD Cameras are now highly developed and provide real time display rate presentation in three formats, Composite, YC and RGB. 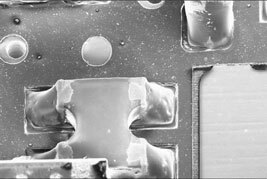 Generally YC is our preferred standard for micro-imaging as it combines excellent quality and cost benefits. 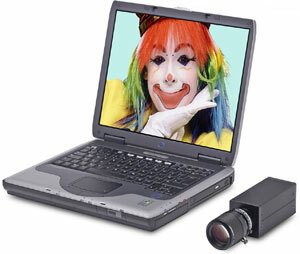 However, an RGB camera will normally output all three signals at a higher quality. 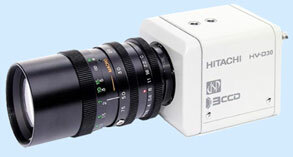 The Hitachi HV-D30 Camera shown is an example of this technology providing excellent colour integrity, resolution and sensitivity. 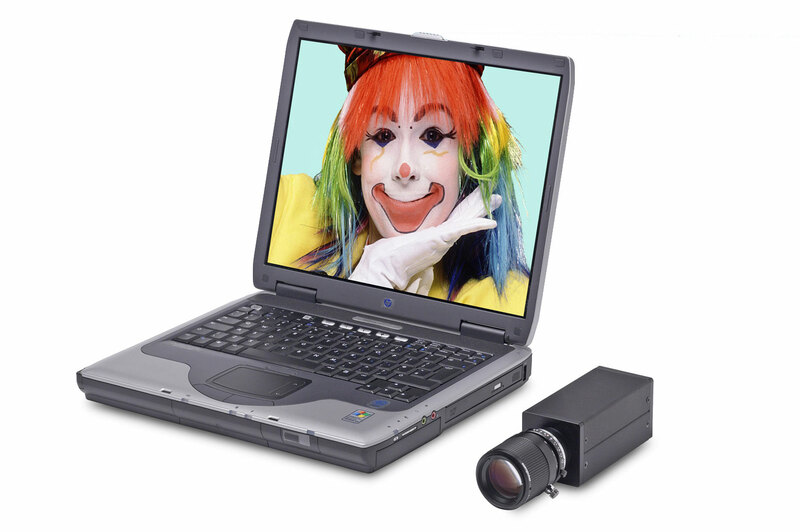 Now available for both laptop and desktop computers, the new professional level IEEE-1394 colour digital camera from Cambridge Technology, the CTX 1360, is both easy to interface through a single cable connection and to use by way of it's real-time image on-screen presentation. Because no frame-store interface card is required the full field resolution performance of 1360 x 1024 pixel is achieved at lower cost. Free operating software is included for Windows and Apple Mac computers together with a TWAIN interface for image processing and analysis functions by other programs such as Adobe Photoshop. 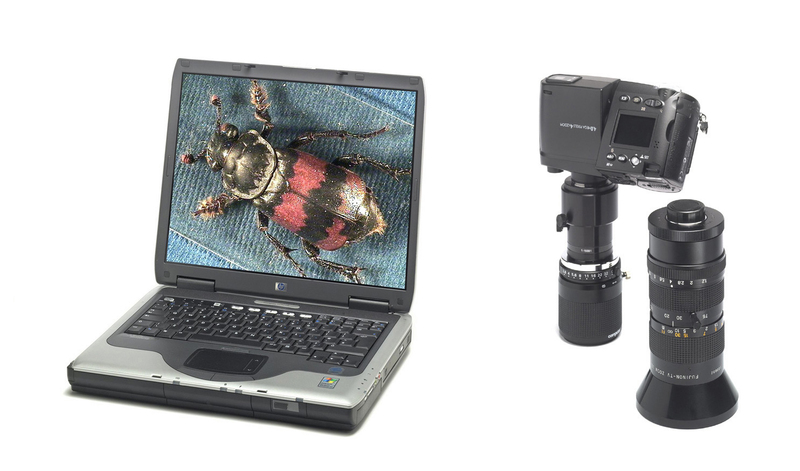 New Camera and Lens options provide up to 200x zoom magnification with both USB and direct HD monitor image presentation. 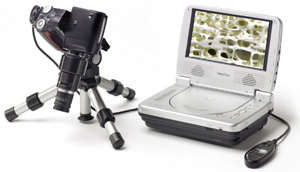 Where subjects cannot be placed under a microscope objective in the usual way, using a mobile VideoProbe Microscope may be the solution, for example, in the examination of large turbine blade surfaces or other unwieldy objects. Additional benefits in-built in this approach are exceptional field depth and ready compatibility with video/hard copy or digital recording. 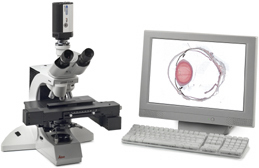 There is often a requirement in subjects ranging from semiconductors to biological slides to obtain large fields of view while retaining high resolution of detail in the compound optical microscope. This capability can now be readily achieved by selecting from a modular upgrade package normally comprising specimen stage control, digital camera and high speed auto-sensing mosaic imaging software. Typical area scans might produce 300 fields of view over a 2cm by 3cm surface giving a 300 Mb image, though there is no real limitation to the area or number of fields which can be selected. A particularly useful feature of the system is that image detail and physical location are digitally recorded allowing rapid and easy review of any area scan. Trial samples may be test run at our application facility and results provided for appraisal. 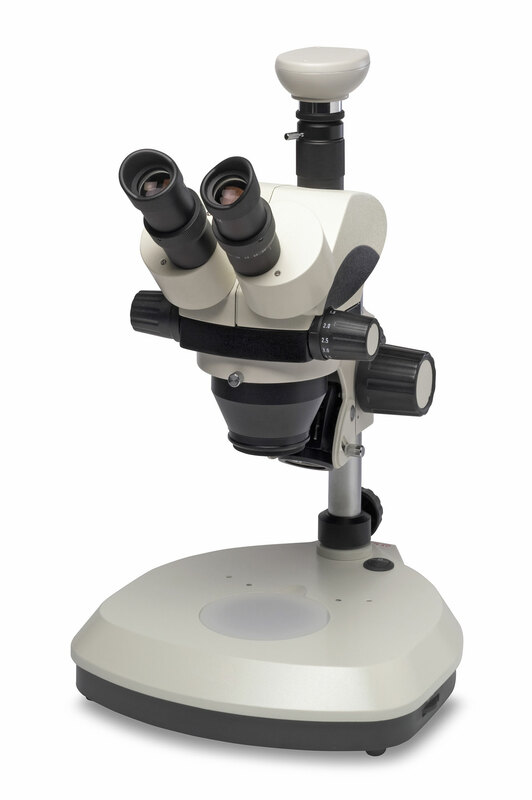 Excellent second-user scanning microscopes are less commonly found these days but we continue to make available a small number of units selected for their reasonable future life expectancy and overall level of performance. 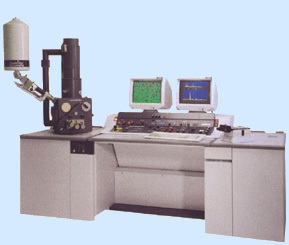 Overall cost reduction in this area is increasingly being achieved by the complementary technique of energy dispersive analysis being updated with WindowsPC systems. If you have an interest here, please request a demonstration of what is currently available. While wavelength dispersive x-ray analysis takes more time its increased sensitivity and resolution can still be a critical factor and here we usually have a number of refurbished second-user systems at reduced cost, with engineering installation and support available. Considerable extensions in SEM performance can be achieved by providing Digital Beam Control to both scanning and analysis functions. 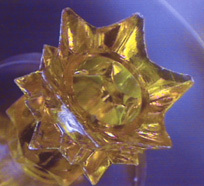 WINSEM can also be used for experimental EBMF at moderate cost. Among the other features of this Window PC based system are: Active Beam Control up to 4096 x 4096 pixel density, Rapid Scan, Slow Scan and Filter Average. Simultaneous acquisition of up to eight elements in microanalysis configuration is also avaliable and there are further options for XPS, SIMS and Auger Spectroscopy. 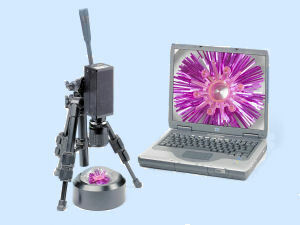 Any compound optical microscope can now be computer controlled to provide extended sample scanning where large traverse high resolution digital imaging may be required, through the application of precision automation systems to a location accuracy of 0.1microns. Dynamic auto-sensing of focus and correction, together with vertical focus integration are also provided for optimum results. Applications include, micro-engineering, histology, fluidics, micro-geology, and semiconductor diagnostics. Trial samples are welcome at our applications facility in Cambridge where confidential results can be provided without charge together with system engineering advice if required. Hardware and software extensions to existing microscopes are available or alternative complete systems incorporating a new microscope of the user's choice. We provide an e-mail information service in support of our website should further details be required about any of our imaging techniques & instrumentation. Simply e-mail your questions and we will do our best to answer with more detailed descriptions or specifications if needed - camtec@archivelabs.co.uk Otherwise you may find a phone call or facsimile enquiry more convenient, not forgetting the postal service option.